Where can I get a copy of the software? 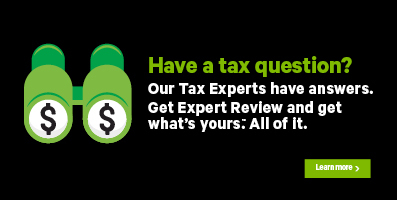 You can get a copy of H&R Block’s Download tax software from our website: www.hrblock.ca. How much space do I need on my computer to download? You’ll require a memory of 1GB RAM with up to 500 MB free hard drive space to download H&R Block’s tax software. The monitor resolution should be 1024x728 or higher. We recommend using Windows 7, 8,1, or 10. If you’re using Windows XP or Windows Vista, we recommend you use our Online product, which you can access by going to www.hrblock.ca. Can I install the software on a Mac? No, you cannot install the tax software on a Mac. However, H&R Block’s Online tax software can be used with a Mac. If you're using a Mac, we recommend you use our Online product, which you can access by going to www.hrblock.ca. You can install the software on as many computers as you like. However, you can only prepare and file up to 20 tax returns (due to Canada Revenue Agency limitations). Depending on your internet connection, it should take less than 5 minutes to download the software. Important: Before you begin, if you created a 2016 Download tax software account last year, you can skip the 2017 Download software registration process to save time. You’ll need to uninstall the 2016 version and install the H&R Block 2017 Download tax software. Refer to our help article on how to use your 2016 username and password to log into the 2017 Download tax software. Launch the 2017 H&R Block Download tax software. On the Register your software page, enter your information and agree to the terms and conditions. It is important that you register the software with a unique email ID. If your email ID was registered with the 2016 Download tax software last year, you can either register with a different email ID or you can click the Sign in to your account link on this page to use your 2016 username and password to access the 2017 Download tax software. By default, your returns will be saved in the following location on your computer: My Documents -> H&R Block Canada While you can choose a different location to save your returns on your computer, we recommend leaving the H&R Block Canada folder in the default location to avoid any possibility of file corruption. Click the Register software button to complete the registration process. Can I carry forward my information from last year? Yes, your personal information from your last year’s return can be carried forward to this year in H&R Block’s tax software. To carry forward information, you must have used H&R Block’s Download tax software last year. When you start a new return in H&R Block’s 2017 tax software using the same account you used last year, you will be able to see the carry-forward information associated with your account and have a chance to import it into your 2017 tax return. You can check which version of the software is the most current by visiting H&R Block’s Online Help Centre. If you aren’t using the most current version, you’ll need to uninstall and re-install the software on your computer. Don’t worry, all your work will be saved; you won’t need to start over. How do I see my return before I NETFILE? If you’re a user of our Assistance or Assistance Plus packages, you can see a detailed PDF version (Pre-File PDF) of your return before you NETFILE or paper file. With your return open, go to the WRAP-UP tab. When you arrive at the Tax summary page under the SUMMARY icon, scroll down to the bottom. You’ll see a link to view a PDF. Click the link to download the file. Note: If you’re a user of our BASIC product, you’ll be able to view a PDF summary before you file. How do I know if I've successfully filed my return when using NETFILE? You’ll see a confirmation number on your screen. We recommend that you make a note of the confirmation number. Do I need to do 2 returns, one for Canada Revenu Agency and one for Revenu Québec? Yes, if you‘re a resident of Québec, you must file a Federal T1 Income Tax and Benefit Return and the Revenue Québec TP-1.-V Income Tax Return. If you’re using NETFILE, file each return separately. Fortunately, H&R Block’s tax software helps you complete both returns at the same time. Can I print a copy of my return? Yes. On the Tax summary page under the SUMMARY icon, under the WRAP-UP tab, you can download a PDF summary of your income tax return. Once you save your downloaded return, you’ll be able to print it. How do I delete the software? To delete your software, go to your Start up menu, select Control Panel and click on Programs. Under Programs and Features, click Uninstall a program. In the list of programs that opens, select H&R Block Tax Software and click the Uninstall link at the top of the list or right click to uninstall the program.